Kitchener, Ontario- When completed by a talented tattoo artist, tattoos are a piece of art on the human body. In the past decade, tattoos have become increasingly popular across the world. 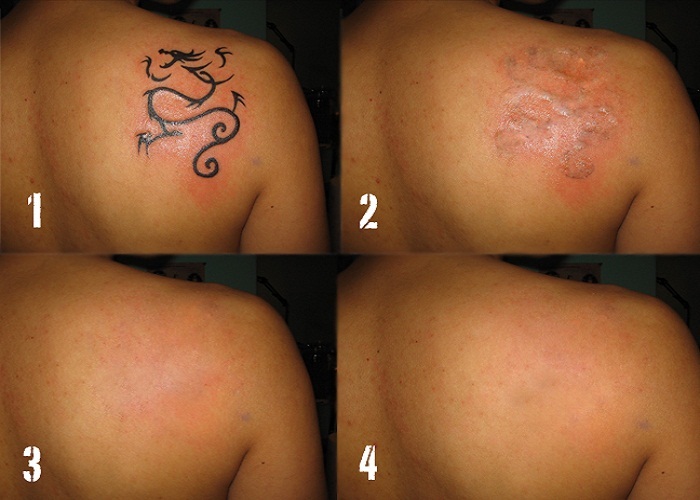 As tattoo popularity increases, however, so does the demand for laser tattoo removal. For clients with tattoo regret, Onyx Medical Aesthetics is the only clinic in South Western Ontario to offer PicoSure laser tattoo removal. With the PicoSure laser, our clinic is able to remove unwanted tattoos with less treatments, minimal discomfort, and the best results available on the market. The PicoSure laser is the first FDA and Health Canada approved picosecond laser. Using picosecond technology, the machine is the biggest advancement in the tattoo removal industry in over 20 years. PicoSure’s patented PressureWave technology delivers its energy into tattoos with ultra-short pulses, while providing no injury to the surrounding skin. This causes the tattoo ink to shatter into small particles that the body naturally eliminates over time. The PicoSure laser is able to effectively remove difficult ink colours, and previously-treated tattoos with less treatments. 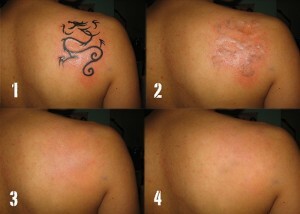 The tattoo removal appointments are spaced 6 weeks apart, and the average tattoo requires 4-6 sessions for removal. In any PicoSure laser tattoo removal treatment, patients have the opportunity to choose between complete and partial removal. Often times patients are seeking fading, to enable a cover-up of the original tattoo piece. The staff at Onyx Medical Aesthetics love tattoos and the meaning behind many of them. In the complimentary PicoSure consultations, clients are encouraged to strongly weigh the decision to remove their tattoos. While tattoos can be “undone,” through the removal process, their removal cannot be undone. Onyx Medical Aesthetics was developed in 2004, under the name Elite Laser & Aesthetics. After undergoing a complete rebranding in 2014, Dr. Kam decided to expand his client base and began offering laser tattoo removal with the PicoSure laser. Onyx Medical Aesthetics is Kitchener’s leading tattoo removal clinic, and cosmetic injections provider. Unlike traditional Medical Spas, Onyx Medical Aesthetics offers only physician administered injection procedures. To learn more about PicoSure tattoo removal in Kitchener, Ontario, please visit our Contact page and submit a request. For regular cosmetic medicine updates, follow us on Facebook and Twitter.